If you’ve ever looked on with envy at the seeming ease with which George R.R. 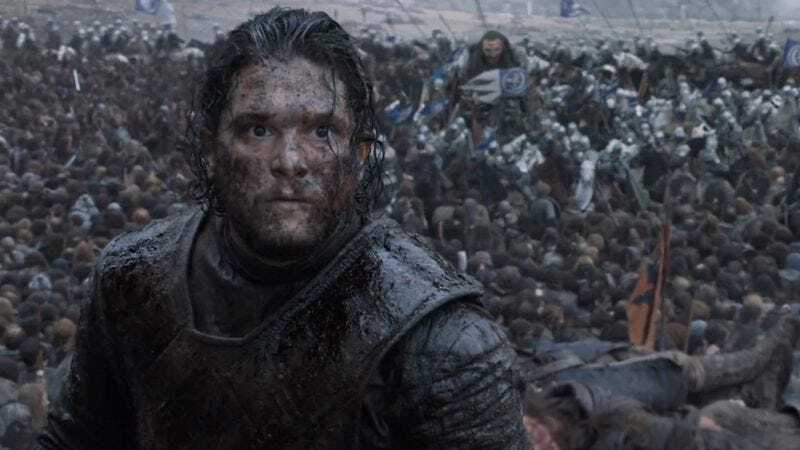 Martin lays waste to countless inhabitants of his carefully-constructed fantasy world, you’ll soon have the chance to get in on the wholesale slaughter of Westeros. CMON Limited, working with Dark Sword Miniatures inc., is planning a Game Of Thrones tabletop miniatures game. Using a variety of units, players can either recreate famous battles from the books, such as The Battle of Blackwater, or create your own, such as The Onion Knight and Lady Mormont vs. Everybody Else. The rules are designed to scale along with the size of your armies—you can stage massive world-shaping wars or smaller, more intimate, skirmishes. Perhaps you can even stage battles where you keep introducing new units throughout the combat, then spend a baffling amount of time on what they’re doing while ignoring the units you set up at the start of the conflict. The starter set includes Stark and Lannister armies. If all goes well, you can anticipate future booster packs will be forthcoming so all your Baratheons, Freys, Greystarks, Greyjoys, Martells, Mormonts, Tarlys, Tullys, Targaryens, Tyrells and Umbers can get in on the fracas. But that’s still a ways off. CMON Limited is preparing to launch a Kickstarter campaign later in 2017. If successful, the game is set to launch in 2018. All of which is to say it may yet be some time before you can stage the bloody and byzantine coup necessary to destroy the Starks, Lannisters, and all other pretenders to the crown and sit the rightful Ser Pounce on the Iron Throne.